Let’s be honest, we’ve all gnashed our teeth and sobbed when Google announces yet ANOTHER algorithm update. We’ve all been confused when they tell us that one SEO trick no longer works, but we still see our competitors ranking by doing that very trick. Today I’m interviewing a very well-known name in SEO circles, Mr Barry Schwartz. Barry is the news editor of Search Engine Land and owns New York web consultancy Rusty Brick. He also runs very popular blog Search Engine Roundtable which is known for its coverage of SEO, SEM and all things online marketing. Barry Schwartz is Search Engine Land’s News Editor and owns RustyBrick, a NY based web consulting firm. He also runs Search Engine Roundtable, a popular blog covering all aspects of SEO and SEM. He’s known for translating what Google says into understandable, easy to read posts that we normal humans can understand, and for being on the cutting edge of everything to do with SEO. Barry is like the unofficial MOUTH OF GOOGLE – he doesn’t work for them, but he has an innate understanding of how they think and what they do. He often guesses what they’re going to say before they say it. In this interview I ask Barry a series of questions relevant to getting to grips with Google. [0:01:40] Your articles on Search Engine Land are the source of truth for my SEO experts and beginners. But whose articles do you regularly read and who are your sources of truth? [0:03:19] What are your top five tools that every search marketing or digital marketing business type must use? [0:05:36] John Mueller has recently come out saying lots of things don’t influence (or have a very small influence on) ranking as much as we thought. Keywords in URL, reviews on local search, outbound links, title tags. But in practice, lots of these things do seem to influence the results. What are your thoughts on this? [0:11:39] Also with all these things not being factors, what still IS a factor; just the content on the page and back links? [0:11:39] There’s a lot of confusion out there on page rank; what is it and is it still a thing? [0:14:38] There’s also a lot of confusion around HTTPS versus HTTP and whether everyday sites need to make the shift. How important do you think it is to improving your ranking chances? [0:08:36] For a small business person, what would be your top three things to focus on when starting out with SEO? [0:23:28] Where do you see SEO heading in the next couple of years? [0:18:58] You’re kind of the official translator of what Google puts out there, explaining it in normal human terms for the rest of us. Is that a bit of a heavy responsibility? 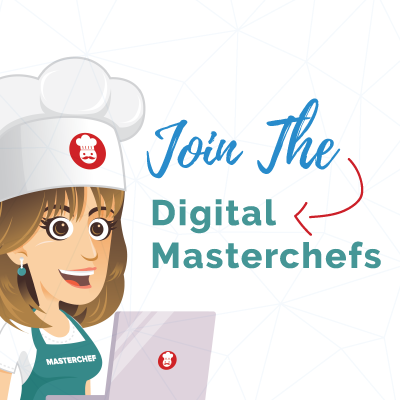 If you like what you’re hearing on The Recipe for SEO Show, the best way to support the show is to take just a few seconds to leave a rating and/or comment on iTunes, Sound Cloud or Stitcher. Thanks! 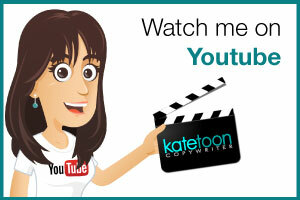 Kate: My name’s Kate Toon and I’m the head chef here at The Recipe for SEO Success. Today I’m interviewing a very well-known name in SEO circles, Mr Barry Schwartz. Barry is the news editor of Search Engine Land and owns New York web consultancy Rusty Brick. He also runs very popular blog Search Engine Roundtable which is known for its coverage of SEO, SEM and all things online marketing. 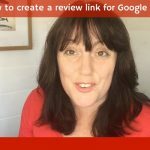 Barry has built a great reputation for translating Google’s antics and algorithm changes into understandable, easy to read blog posts, and he certainly has his ear to the ground when it comes to all things Google and SEO. 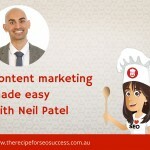 So today I’m going to chat to him with some questions from students of my Recipe for SEO Success eCourse and the 10 Day SEO Challenge. Let’s get started. Hi Barry, thank you so much for joining me today. Barry: Hi, how are you? Thanks for having me. 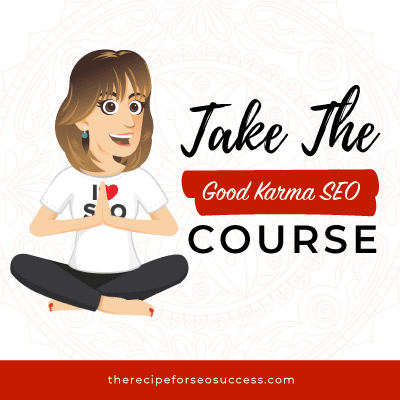 Kate: Today we’ve got lots of questions that came in from the students of my Recipe for SEO Success eCourse and also on Twitter and Google, so I hope you’re ready to be grilled about SEO. Barry: I am, I’m excited. Kate: Basically, I’ve talked in the intro about the two main websites that you write for, Search Engine Land and Search Engine Roundtable. Now your articles on Search Engine Land are like a huge source of truth, so not just SEO experts but beginners and people learning about SEO. Who are your sources of truth, who’s articles do you regularly read and enjoy? Barry: You wouldn’t want to see my RSS feed, I subscribe to I think tens of thousands of feeds on a daily basis. So there’s not one particular thing that I look at for truth per se, it’s more about seeing what people are writing, digging into it and seeing if there’s any truth based on your own research. So a lot of what people do and write about when it comes to SEO is what they’ve experienced, their experience might not be the same for what you might experience. So when it comes to SEO there’s not like “this worked for me so it must work for somebody else”, it doesn’t work that way. The algorithm’s pretty confusing and pretty detailed so there’s a lot of competitive factors and other variables in the equation. Obviously it’s great to reference well written, well thought out articles and there’s a huge number of people who do that, I’m not going to go through a specific list. But if you do subscribe to Search Engine Land’s search cap, you’ll see some of the sites that I reference on a daily basis and pull out. But I also get news and stories from sources such as Google News, Twitter, Facebook, all the social media areas, plus I look and dig deep into the search forums where people are discussing things as well. So I wouldn’t say there’s any specific case of what’s more authoritative than others, but it’s more about making sure that what’s written is actually legit, not necessarily by the author, but by doing the research to make sure it is. 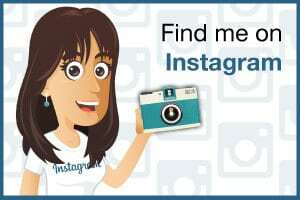 Kate: Are there any search marketing, digital marketing tools that you do recommend? Barry: I would definitely recommend everybody obviously use Google Analytics, it’s one of the basic things looking at where your traffic is coming from even though you’re not necessarily getting the keyword data, it’s fairly important. Also Google Search Consult’s probably the most essential tool for all webmasters to have, it not only gives you your keyword data that you really need to have these days, it also gives you all the search crawler errors as well as error reports and it also gives you a lot of insight into what Google’s crawling on your website by using the XML sitemaps versus what they’re not crawling. Those will always give you the basis stuff that you need for you to actually handle the fundamentals when it comes to your SEO basics. Once you get more advanced, you probably want to look into link tools, maybe from Majestic or Moz or HREFs, there’s tons of link tools out there, they all have different pros and cons to them. Those are more about finding good quality sources to get links to your website in a natural way, hopefully. 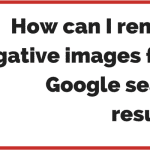 And then also ways to try to find negative links to your website so that you can hopefully disavow them and remove those from your thing. But the basic I would have to say is the Google Search Consult, Google Analytics, those would probably be the basics that you need. 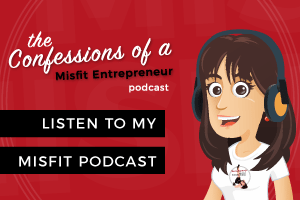 Kate: Yeah, I think you’re so right, a lot of people have heard of Google Analytics and they get onto that pretty quickly and they seem to forget Google Search Console or Google Webmasters as it used to be known, and the data you get out of that is awesome, and it’s all free. Now my next question is going to dig into some of the algorithm updates, there’s so many conflicting pieces of information out there on what’s happening with the algorithm, what the latest updates, what works, what doesn’t. 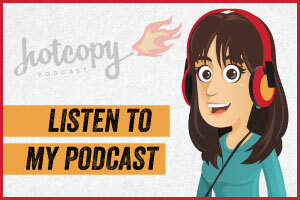 Recently on your blog you’ve been talking about some of the things that John Mueller has been saying, the things that don’t matter anymore, keywords in the URL, reviews on local search, outbound links, vital tags, they don’t matter anymore or they never did. But in practice a lot of these things do seem to work, do seem to influence the results. So what are your thoughts on that in terms of the self-conflicting views? Barry: A lot of things that I write cover aspects of what Google’s John Mueller or Gary or various Googlers are saying from the search webmaster trends team or search quality team, and it’s not always the fact that what they say is what the SEO community believes to be true. 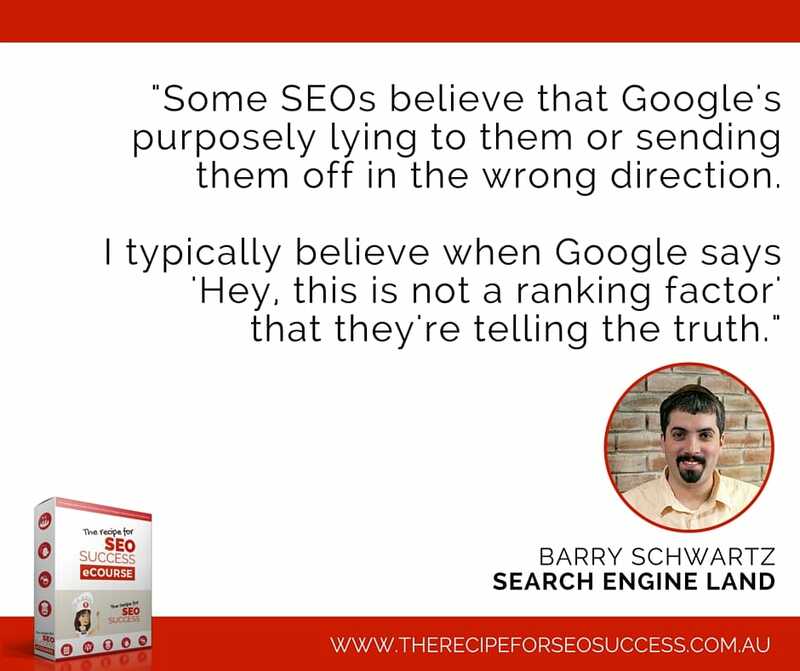 Some SEOs believe that Google’s purposely lying to them or sending them off the wrong direction, some believe that they don’t really know what they’re talking about. The truth is, it might be that they do know what they’re talking about but what the SEO thinks works, is not really what is actually working. I typically believe when Google says “hey, this is not a ranking factor,” or “this is a ranking factor,” or this is a large or a small ranking factor, that they are telling the truth. So when they say keywords in the URL are a small ranking factor and both John Mueller says that in 2016 and Matt Cutts says that back in 2012 or whatever it might be, I believe they’re telling the truth. What do they define as a small ranking factor? That’s all relative, there’s different weights and different variables and different competitive landscapes. So I definitely believe when Google’s saying something, I believe them to tell the truth unless they just say they don’t want to answer and then they’re not answering. I don’t think they’re misleading anybody on purpose or intentionally or at all, I just think they are trying to be as transparent as possible without giving spammers too much information. I don’t think they lie outright, if that helps. Kate: No, no, I think that’s right and I think there’s a lot of confusion over causation and correlation, so things that seem to be working but actually, the factor that you think is influencing them maybe isn’t the factor that’s influencing them. You know, the exact match domains issue, I see lots of business still calling themselves windowcleanersydney.com.au or whatever it may be and they do seem to do well for a little while. But again, that can just be a little bit of time while Google works out what to do with them and where to put them in relation to everybody else. Barry: Right, so people are saying “this disavow file works because my penguin website hasn’t recovered in six months”, I mean they haven’t run the penguin algorithm in over a year, so it’s hard to make cases saying “this doesn’t work” because you never know, like you said the lag time, how quickly does Google index? How often are they updating their algorithms, how often are they refreshing the actual weights in the algorithms as well as the weights that you get assigned and so forth? So there’s lots of different variables there, and then how much are those weighed against other things in the competitive landscape, so yeah, I agree. Kate: Yeah. I mean with all this information, I mean it can be incredibly overwhelming and even for people who work in the SEO industry. If you were starting a small business website tomorrow, what would be the main couple of things that you would focus on? 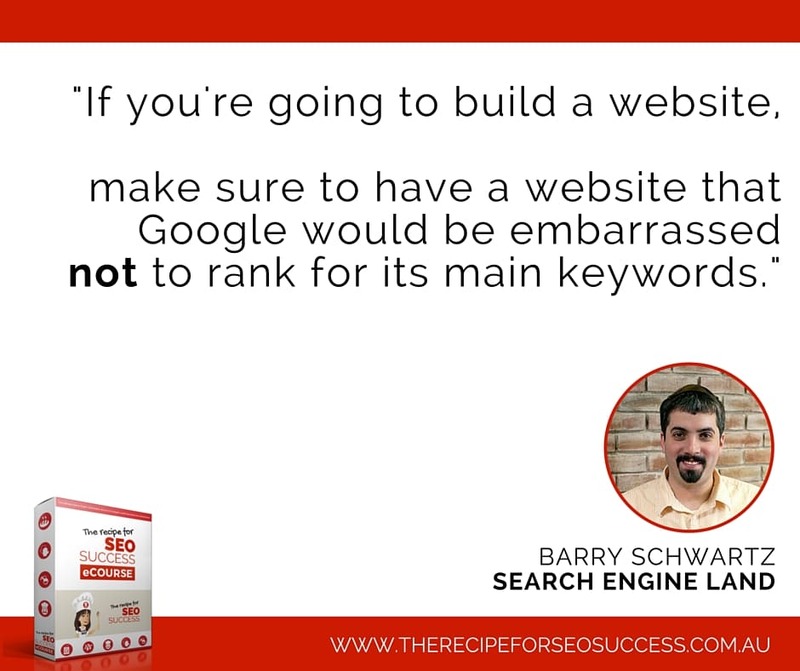 Barry: I mean the main thing I would focus on, and I tell this to pretty much everybody, is that if you’re going to build a website, if it’s content or tools or even a corporate website, make sure to have a website that Google would be embarrassed not to rank for its main keywords. So if you’re a blogger about search engines and you’re not ranking well for the search related topics, or SEO related topics, people are scratching their heads, searchers are scratching their heads, “why is this website not ranking”, that’s an embarrassment for Google and Google’s going to look at that and say “hey, how can I go ahead and fix our ranking score, their algorithms” to ensure that this quality website or these quality websites rank when they don’t. So the first thing I would do is obviously make sure whatever you’re doing is better or viewed better by the community that you’re appealing to than any other website out there. There’s easier said than done obviously, it’s just really the basics about SEO. You have title tags, the content, make sure the search engine can crawl through your website, pick up the different pages, understand what each page is about in a way that is what we call search engine friendly. You get that by just Googling SEO, going into the Google SEO guidelines and just reading through that because they really detail the basics right there. They also have a great handbook or a Google writer’s guidelines or something like that which they published 160+ pages which go through the basics of what they think are the guidelines or the highlights of what a good website is. It’s not necessarily if you follow all those things you’ll rank number one, but it gives you an idea of what Google thinks should be a good website and if you follow those best practices, hopefully you’ll rank very well. At the same time, even if you’re not doing those things but you have the best website out there, Google will hopefully try to adjust their algorithms to include you in their index. Kate: I think that’s something that small business owners maybe don’t realise, that Google does actually tell us most of the things we need to know to do, maybe not necessarily in a language we can understand sometimes, they’re not sometimes the best at communicating what to do, that 160 page guideline for example isn’t the most easy or enjoyable document to read while you’re having a cup of tea, but it is all there, they’re not hiding a lot of things, if you take the time and listen to the right people. Barry: Right. To be fair about that guidelines, they don’t really want to release it, it just kept getting leaked so they decided to release it, anybody can read it. But it’s not really designed for webmasters to say “this is how I build a good website”, it’s really designed for people who are paid to go ahead and rate how good the search results are in Google, and if they’re testing, they use that as their guidelines. Kate: They need a really good copywriter, just saying, just putting it out. Now I’ve got some specific questions from people in my group, there’s a lot of confusion out there about Page Rank. What is it and is it still a thing? Barry: Okay, so there’s two thing when it comes to Page Rank, especially in the SEO world. One is obviously there’s the algorithm that Larry Page created and he named it Page Rank. It’s basically the algorithm to determine what pages are considered important on the web. 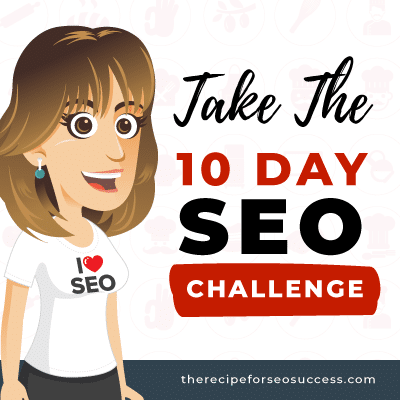 So if you have 10 pages about SEO copywriting and Google sees that there are lots of authoritative quality links pointing to page A versus page C, the page rank score of page A will be higher then generally that page A will rank higher. It’s just one of the many weights that are assigned to a webpage that’s assigned on a page by page level. So that’s still used, Google uses Page Rank, it’s updated literally all the time. As webmasters we don’t see what that Page Rank score is. It used to be that back before 2003, Google used to do monthly cycle updates, and that monthly cycle update would obviously update their index monthly, meaning the pages that are included in their index. And two is a bunch of other algorithms as well but the second most important thing was the Page Rank score of those pages in their index, and people and SEOs used to go ahead and do whatever they could to increase their Page Rank score by trading links, buying links, whatever it might be, and the higher that Page Rank score, typically the higher you would rank in the search results. That would be updated every 30 days and Google also released the score of that Page Rank in their toolbar which they used to have in Internet Explorer, they used to have a toolbar called Page Rank. It was kind of like a marketing stunt. It became one of those things that SEOs really use as a currency in terms of trading links or buying links, “I’ll sell you a Page Rank 7 link for X dollars” and so forth. That toolbar Page Rank has not been updated in over a year at least, and Google said they’re probably never going to update it again, plus there’s very few browsers that you can find it actually supported. There’s two things, one is the Page Rank is actually used and updated in real time, and it’s not a 1 through 10 score, 0 through 10 score, it’s actually much more complicated than that. But the toolbar Page Rank which you used to see back in the day, is no longer updated and very few browsers support toolbar Page Rank, and it’s not really useful because we can’t determine what the Page Rank is at any given time. Kate: The next question is around HTTPS, this is from Dianne, versus HTTP. For those who don’t understand, that’s the sort of prefix to your URL to determine whether your site is secure or not secure, and again there is a little note from John Mueller or somebody at Google quite a while back now saying that HTTPS was part of the ranking, a small part of the ranking, and I know that lots of people made the shift from one to the other. How important do you think it is and do you think it’s a priority for small businesses? Barry: I wouldn’t say it’s a priority in terms of just core ranking. Google has a HTTPS ranking algorithm, so if you do have HTTPS and you’re competing against somebody who doesn’t, and every one of the 200 or 300 or 400 ranking signals are exactly the same between page A and page B, and page A is HTTPS, page A will rank a little bit higher. There is definitely a small ranking boost and all the studies I’ve seen, or almost all the studies I’ve seen, HTTPS doesn’t make a significant ranking change at all. But at the same time, Google has said, and this is a case where again, SEOs are saying it doesn’t matter whereas Google says it does matter, that there is a ranking boost with going HTTPS. Does that mean you should switch your website from HTTP to HTTPS? It won’t hurt you, I’ve done it myself on several websites. I have migrated from HTTP to HTTPS and it had zero negative impact on the rankings. 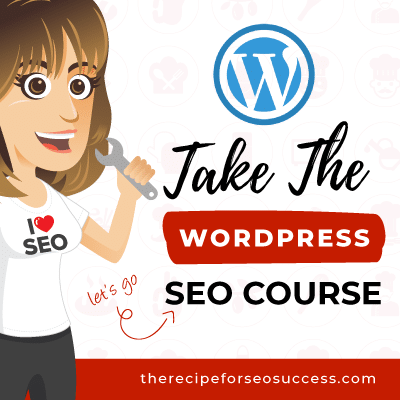 It might cause issues with your ad serving because you have to make sure they’re set up to properly run, you have to make sure that all the embedded content and images are over HTTPS URLs, so it’s a bit of a technical issue. But Google goes through all the steps you could take to make sure you do the migration properly and it can be a lot of work for people, especially if they’re not a developer or webmaster themselves. There’s a lot of push in not just the Google world to go HTTPS, so that’s another reason to consider it. Users might appreciate if a website’s completely over HTTPS, but again I wouldn’t just do it because it’s a Google benefit to it in terms of ranking, I would do it if you think there’s a benefit to your user. Kate: Yeah, I mean I actually asked John Mueller about it and he kind of said “put it this way, do you ever want to access a site that’s not secure?” So it’s kind of, especially if you were running any commerce store and your e-commerce engine is already wrapped in that SSL security, it make sense to wrap the whole site. I moved my own site over and as you said it is quite complicated for the non-technical person and I didn’t notice any negative impact. Barry: There’s a way to fix that, you just reference the old HTTP, in the actual share URLs you can actually change it from HTTPS to HTTP. Kate: Yeah, I’ve done that now but there was a few days of abject panic while I was like “no, I’ve lost all my followers”. Not that it really matters but it was a bit sad. Somebody asked in one of the Google communities, with your websites, there’s an awful lot of bickering that goes on after you post things between different SEOs and sometimes the comments, I don’t mean to be rude here, are more entertaining than the article. Do you ever sometimes feel that you’re over it, that you just want to give up and that it’s too hard trying to referee these arguments? Barry: Honestly, I find it funny. 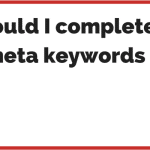 At Search Engine Land we removed comments completely several months ago. At Search Engine Roundtable, which is my own site that I control 100%, I honestly enjoy it. I find it humorous, I know people find it frustrating to read, but if you don’t want to read their comments, you don’t have to. But I find some of the comments to be funny, some of them are outright rude, but I will only remove stuff if it’s just pure spam and the people trying to promote something. It can be promoting products, it could be promoting whatever, their own agenda, I only remove stuff that is clearly promotional or spam. But in terms of people posting their own theories or they hate something and they think Google’s lying about something, I let it all out there, it’s fine. It is entertaining, I find it entertaining so I leave it there and personally I’m not a very entertaining person, boring content at the top and then the entertaining people at the bottom. Kate: That’s not very nice, I don’t think that’s true. I mean you’re almost, in some circles, seen as the official translator for Google. So Google puts something out, no one really understands it, you come along, you write an article and people go “oh, now I get it”. Is that kind of a bit of a heavy responsibility to kind of carry that weight? Or do you just ignore that? 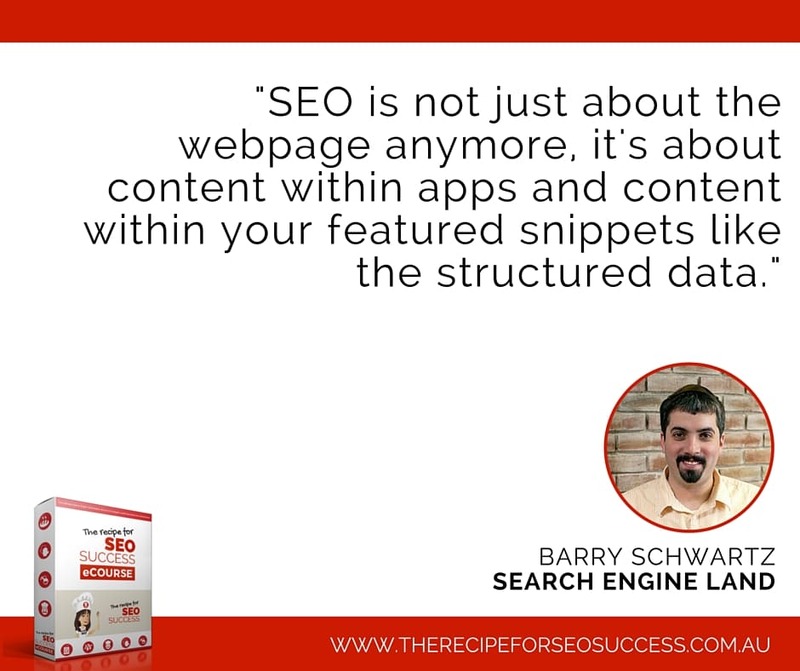 Barry: It’s my notes, the blog, Search Engine Roundtable started as my notebook about what I think the SEO community and SEO industry that includes Google and all the other search engines are talking about, it’s my notebook. I try not to interpret it too much, I’ll say Google’s talking about X, this is what they said, this is the quote of what they said, this is what I think it might mean but this is what they’re actually saying. There’s obviously tons of people who think they know better, the truth is I see Google saying lots of things on social, and there are times, not all the time, but there are times where it’s being misinterpreted by other people as well and I’ll be like “no, Google’s not saying that” and then Google will be like “yeah, you’re right”. I’ve been covering Google for I think well over 10 years now and I sometimes know how they’re going to answer a question better than they’re going to answer it themselves. Not better than Matt Cutts probably but when you have a new Google speaker come on, I typically am a little nervous for the new Google speaker to go on stage and be harassed by the SEO community because it might not be as well versed as the old speaker in terms of how the SEO community’s going to go and attack them or ask them specific questions and try to trip them up. I have fun when there’s a seasoned Googler like obviously John Mueller, Gary and so forth, that expect me to try to trip them up because they’re pretty smart that way and it’s kind of like a game. It’s fun, I don’t find it to be a burden, I find it to be fun, again it’s just a hobby for me, I don’t really make money on this at all. It’s not where I make my money and I find it to be a fun place to just keep my thoughts, keep my notes on the SEO industry, kind of like a diary for the SEO community. It’s fun. Are you surprised by how, obviously it is a serious business and there’s lots of money at stake, but how passionate people are about this subject matter? Barry: Well I think the passion comes from a few places, obviously they have their own theories and they don’t want to be one-upped by somebody else who has a different theory. At the same time they also have their clients, and their clients are reading some top industry blogs, Search Engine Land and so forth, and when they read a post there that maybe I write or somebody else writes that they don’t agree with, and their client sees it, and the clients saying should I worry about doing press releases and their whole business strategy on getting links was about press releases. This came up big time, I had a bunch of SEOs emailing me “how could you write that, it’s wrong, Google doesn’t say that”. Kate: But don’t shoot the messenger. Barry: …don’t shoot the messenger and the good thing about my position is that it doesn’t make a difference to me. I can write it and it doesn’t impact me financially either way and I can just give them my honest, true thoughts on what Google’s trying to deliver. 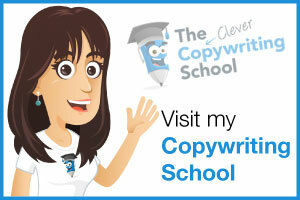 Having 10,000 more page views in a day is not going to make me more money than having 10,000 less visitors. It doesn’t make a difference to me, that’s why I write what I write and hopefully people like it. 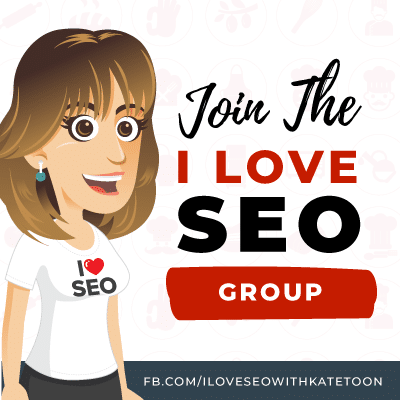 Kate: Many small business owners I know want to educate themselves more and they want to read more because they don’t understand SEO and some agencies can be quite secretive about what they’re doing. So my attitude has always been, the more transparent you are, the more business you’ll get and the more that you explain that things are changing and “that’s okay, we’ll change with them”, that’s a good thing. Where do you see SEO heading in the next couple of years, and again I’m not talking for the huge big corporate brands but for the smaller guys, what do you think’s on the cards? What big changes are ahead? Barry: The basics aren’t going to change, you still need your basic SEO fundamentals, but the platforms are changing. So it’s not just a web page anymore, obviously mobile now is big, having a mobile friendly website is incredibly important. I think in 2016 they’re probably looking at more apps, so app indexing with Google, So just the Google app, indexing API to learn more about that. I would also look into, if you haven’t gone mobile friendly 100%, that is two years ago, also Google’s strongly pushing as you know Google AMP, Accelerated Mobile Pages. That’s really specifically right now for the news publishers but there’s no doubt in my mind Google is going to push it for other industries and it’s probably going to be just like Google’s pushing mobile friendliness. It’s definitely being pushed more than HTTPS, so I would definitely look into that course of this year. And then in the future it’s hard to know per se, obviously all this voice search. So your Androids and Android people aren’t really typing much on phones these days, I mean they are but that’s changing. Kids are more likely to talk to their phones, you’re not going to be able to type in your car when you’re driving, you’re going to be talking to your car when you’re driving. So it’s going to be more about this voice search and you see those answers at the top, featured snippets Google calls them. Getting in there is important, at the same time understanding how to monetise being in the featured snippet is a challenge for people and hopefully that will change over time and hopefully Google’s answers, either voice answers as well as the written answers in the featured snippets will actually change over time and how you can monetise that also will change. So it’s not just about the webpage anymore, it’s about content within apps, content within your featured snippets like the structured data, Google said they going to amp that up. 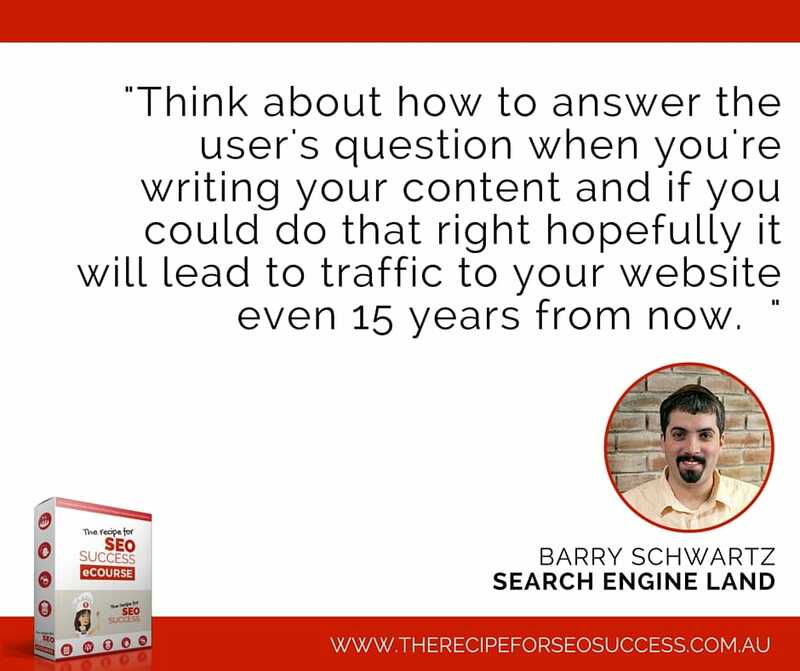 So I would look at that as well, think about how to answer the user’s question when you’re writing your content on your website, and if you could do that right hopefully it will lead to traffic to your website even 15 years from now. Kate: Yeah, I mean I think that’s so right and I think the more conversational and question/answer based your content is, the better. If you can really deliver a great answer, although I did read your article on the featured snippet and whether it was a good or a bad thing, a couple of my articles have been pulled up into that spot and they pick the most salacious best bits and sometimes therefore the question is answered and the person hasn’t come through to your site. It’s like, “whoa, you took my content, Google”. Barry: I feel it’s a good thing, it’s like “oh, wow”. Kate: Yeah, good for customers, good for searchers. Barry: Yeah it’s good for the searcher. It makes the publisher feel like “oh, Google thinks I’m good enough for a featured snippet” . But if you’re not getting that click-through, that’s not good. Of course Google says that it doesn’t have a negative impact on your click-through rate, so that’s a good thing. If you trust them, then great, you’re getting the same click-through rate as you were getting beforehand, maybe better. It’s hard to know if that’s true, I haven’t tested it myself, it’s hard to know. Somebody can measure that, I think Google has the data, so people are saying that it has a negative impact and a click-through rate, that’s not true and that’s great. Sundar Pichai from Google who’s head of Search who’s retiring at the end of this month said it’s kind of like a Swiss Army knife, it’s like Google is giving you these little tools that give you parts of the answer that you always want to click-through to get to the detail tool that you need. That’s his rationale, I don’t know if everybody agrees with that, but at the same time personally I find that “oh, it’s great, Google thinks my content is worthy of it”. So it’s nice to see that, at the same time I really like to see a case study by third parties as well as Google saying “hey, it’s not impacting” or “it’s having a positive impact on your click-through rate”, and that would make me feel a lot better. Kate: Well look, that’s it, we’re done, we’ve gone through all of our questions, thank you so much for your time, that was really useful. I will include links to all Barry’s various websites, Twitter accounts, Facebook in the blog post. Barry: Thank you so much, I appreciate the time.